The aim of the Latvian National Digital Library is to ensure digitizing collections of the NLL and partner organizations, by making them accessible on the Internet. At present the Digital Library holds digitised collections of newspapers, maps, books, sheet-music and audio recordings. A collection of digitized periodicals created by the National Library of Latvia. The periodicals portal comprises approximately 3000 titles of papers and magazines - that's more than 3 million pages - published both in Latvia and exile. Books on various subjects digitized by the National Library of Latvia. The book portal contains approximately 8000 books - that's more than 1.5 million pages - published both in Latvia and exile. 'In Search of Lost Latvia' is a Letonica project created by the National Library of Latvia that has gathered unique photos and information about Latvia's lost or transformed objects and sites of cultural or historical value. This collection comprises a unique material of Latvia's cultural history - a collection of texts of the Brethren's Congregation; several thousands of Latvian peasants from Vidzeme region had contributed to the creation of this collection during the 18th century and the beginning of 19th century when Moravian Church aka Herrnhut Congregation had quite a strong influence in the said region. The collection contains original works of various genres written by the Herrnhuters on historical, biographical and religions subjects, as well as edited translations and copies. The collection of the Brethren Congregation's writings (RX35) stored at the Latvia's National Library currently contains more than 400 handwritten items. Europeana collaborates with thousands of European archives, libraries and museums to share cultural heritage for enjoyment, education and research. Europeana Collections provides access to over 50 million digitised items – books, music, artworks and more – with sophisticated search and filter tools that helps find what you’re looking for. A machine-readable dictionary of Latvian language (more than 280,000 entries), which is mainly designed for the integration and development of other tools of the Latvian language, but is simultaneously a popular reference source. The information found in the “Thesaurus” is based on more than 280 sources and is regularly updated. For some entries, the conjugation and examples of use from LVK2013 are automatically offered. The EuroTermBank is a centralized online terminology bank interlinked to other terminology banks and resources. The EuroTermBank platform provides a single access point to more than 2.6 million terms in 33 languages. It also enables exchange of terminology data with existing national and EU terminology databases by establishing cooperative relationships, aligning methodologies and standards, as well as designing and implementing data exchange mechanisms and procedures. The electronic version of the principal and supplementary volumes of K. Mīlenbahs and J. Endzelīns’ “Dictionary of the Latvian Language”, with the facsimiles of the entries accessible. The dictionary offers a wide range of search functions; the information can be found in the modern orthographic or the original spelling of the entries, in the whole text, by source, etc. By concluding a consultant’s contract, the dictionary is freely accessible for educational and research purposes. Interactive electronic dictionary of the 16th and 17th century (around 1200 entries) with a reference to the “Historical Corpus of the Latvian Language”. The dictionary can be searched by the meaning, by the specific donor language in the etymology, and by other features. The Latvian-Lithuanian dictionary is a bilingual on-line dictionary compiled by Dr. Alvydas Butkus (Vytautas Magnus University). It is based on a printed Latvian‑Lithuanian dictionary published in 2003. The lexicon contains about 43 000 lexical items. This is the largest contemporary online Latvian-Lithuanian dictionary and includes not only new and updated lexical entries, but also recent terminology. The dictionary is based on the Lithuanian-Latvian dictionary (1995) by Jons Balkevičs, Laimute Balode, Apolonija Bojāte and Valters Subatnieks, ed. by Alberts Sarkanis. It contains about 60 000 lexical entries. The dictionary incorporates morphological analysis tools allowing search for word forms and retrieval of grammatical information. The bilingual online Estonian-Latvian dictionary is based on Karl Aben’s Estonian‑Latvian dictionary published in 1967. The initial dictionary has been revised by Andra Kalnača, Ērika Krautmane, Jana Šteinberga-Ranki and Urve Aivare. During revision obsolete words were removed and about 2000 new lexical entries and 1000 terminology entries were added. It contains about 25 000 lexical entries. These are the largest English-Latvian and Latvian-English dictionaries available on-line. The dictionaries are based on the "New Latvian-English Dictionary" by Prof. A. Veisbergs (2001) and the "English -Latvian Dictionary " prepared by Z. Belzese, I. Birzvalka, L. Jurka, R. Mozeres, J. Raškeviča, and A. Treilona. The dictionaries are supplemented with modern terminology and explanations in English and Latvian. The Latvian-English dictionary contains about 80 000 lexical items, while the English-Latvian dictionary contains more than 70 000 lexical items. Both dictionaries are regularly updated by Prof. Veisbergs. The first translations of both dictionaries are available for free, but full content is available only for letonika.lv subscribers. The translation dictionary (around 10,000 entries) was created based on “The Frequency Dictionary of the Written Sources of the Lithuanian Language”. The dictionary consists of 4686 nouns, 3138 verbs, 1385 adjectives, 38 pronouns, 82 numerals, 549 adverbs, 26 prepositions, 23 conjunctions, 34 particles and 39 interjections of the Lithuanian language, which have been translated to the Latvian and Latgalian languages. The dictionary (around 45,000 entries) reflects the vocabulary of the modern Latvian language, starting from the 1970s. In addition to the modern lexis, a small number of obsolete words has also been provided. A commentary about, e.g., the cultural aspects of the language or the origin of the words has been added to a number of the words. The electronic version of the “Dictionary of the Latvian Literary Language”, with eight volumes and more than 64,200 entries. In the dictionary, one can find words and combinations of words from the literary language, with examples from the 1870s till the 1990s. Latvian-Latgalian translation dictionary (around 24583 words). The rendering dictionary of personal names contains personal names in four languages and their renderings in Latvian in accordance with the rendering rules of proper nouns. The dictionary contains more than 4 000 personal names in Czech, French, Italian and German. It includes personal names in the following categories in equal proportions: (a) the most common first names in the particular language, (b) the most common surnames, and (c) the surnames of contemporary and historically important personalities. The EU's multilingual thesaurus "EUROVOC"
EuroVoc is a multilingual, multidisciplinary thesaurus covering the activities of the EU. It contains terms in 23 EU languages. EuroVoc is managed by the Publications Office. EuroVoc users include the European Union Institutions, the Publications Office of the EU, national and regional parliaments in Europe, plus national governments and private users around the world. Livones.net is hosting various resources for learning about and studying Livonian. Currently, it contains studies of Livonian, the newest online version of the Livonian-Estonian-Latvian dictionary, the Livonian place name register, and a list of words borrowed from Livonian into Latvian. These Livonian language resources were developed with the support of the Latvian Language Agency (Latviešu valodas aģentūra). A general corpus of the texts of the Latvian language with automatic morphological markings (around 4,500,000 examples of words in use). Specialized corpus (around one million examples of words in use), in which texts of the Latgalian written language (published in 1988-2012), along with metadata about the author of the text and the time and place of the publishing, can be found in fixed proportions. The corpus of texts at the level of the sentence (around eight million examples of words in use) consists of modern (1990s and onwards) translations of different genres from the Lithuanian language to the Latvian language and from the Latvian language to the Lithuanian language. The corpus enables research in different fields of science and allows the creation of dictionaries, study resources, systems of machine translation and other language resources, tools, etc. The specialized corpus (around 900,000 examples of words in use) consists of the written sources of the Latvian language and their indices, which provide a glimpse of the history of the Latvian language and the lexis, morphology and syntax of the texts from 16th till 18th century. The corpus of the ancient texts forms the basis for the creation of the “Historical Dictionary of the Latvian language”. The corpus (around 34 hours of data) consists of the audio recordings and orthographic transcripts of four children’s (17-44 months of age) speech. The recordings were made over the course of 18 months (April, 2015-September, 2016) at the living place of the children, during their playtime or daily activities. The conversation partners of the children are most commonly their parents. The orthographic transcripts have been automatically morphologically marked. The specialized corpus (around 20 million examples of words in use) provides the totality of the words spoken from the rostrum by the Members of the Parliament, Ministers and other members of the assembly of the Latvian Saeima since 1993 (the transcripts of the 5th to 12th meetings of the Latvian Saeima). The speakers and their rotation, the party they represent, the type of the meeting and other variables have been indicated. The Latvian Speech Corpus (around eight hours of audio data) consists of the broadcasts that have appeared in the mass media, including the audio recordings of the meetings of the Latvian Saeima and their orthographic transcripts. Each audio recording is accompanied by meta data about the place and duration of the recording, as well as the gender and approximate age of the speaker. The corpus (around 100 hours of data) consists of audio recordings and their orthographic transcripts. Each audio recording is accompanied by meta data about the place and duration of the recording, as well as the age, gender and the Latvian language ability of the speaker. A small part of the corpus (around four hours of audio data) is devoted to phonetic transcripts. The corpus is mostly intended for the development of speech technologies. It is not publically accessible. A syntactic corpus of the Latvian language (around 4000 sentences) which has been marked in accordance with the guidelines of the universal dependencies (UD v2.0). The corpus is regularly edited and updated. The data have been obtained through an automatic transformation of the texts which have been marked in accordance with the hybrid syntactic model. The corpus is made to investigate Baltic interlanguage – the interlanguage that forms when a person with the background of one Baltic language (Latvian or Lithuanian) learns the second Baltic language. The corpus consists of texts that have been written by university students, learners of the second Baltic language; namely, Latvian for students of Lithuanian background, and Lithuanian for students of Latvian background. The texts are written independently on a variety of topics. An electronic Latvian language hand-book is an encyclopaedic work, an informative learning aid in Latvian linguistics, which summarizes and sets out the main issues in 26 linguistic branches and sub-sectors (in total, more than 1500 varieties or units of content). The manual is designed as a multifunctional informative practical electronic tool, linguistic reference and training material. Latvian and Latvian Literature Vortal, developed by the Institute of Literature, Folklore and Art of the University of Latvia. In Latvia, the first informative literary virtual resource of literature, where besides the topicalities of modern literature and the process of fixation, there is also a large database of Latvian literary workers and literary works (from the 16th century to the present). A collection created by the National Library of Latvia and its partners, it comprises the first publications of all the works as well as other texts written by the Latvian poets and playwrights Rainis and Aspazija; each work has got a contemporary annotation. It also contains photos and posters; the audio section contains the speeches; the video section - clips from the news-reels. There are also other materials there that reveal both the interconnectedness of all the items within the given collection and also their historical background and relevance to the external players - people, institutions, places and events. The aim of the creation of this collection was to develop a resource for researchers and students of humanities as well as for all those in Latvia and abroad who are interested in Rainis and Aspazija. The digital collection ‘G.F. Stender’s literary heritage’ includes books, articles and preserved manuscripts, published within the lifetime of the pioneer of Latvian secular literature Gothard Friedrich Stender (1714–1796). Original materials are kept in various libraries in Latvia and abroad, as well as in other repositories of memory institutions. The aim of digital publications is to reduce inconveniences, caused by dissipation of materials and to provide assistance in studies and research of unique sources. Letonika.lv Reading Room is an extensive portal of Latvian literature. It contains 147 full-text works and collections of works by 43 authors. One hundred books in the Reading Room are freely available. The authors include Aspazija, Anna Brigadere, Jānis Akuraters, Rūdolfs Blaumanis, Jānis Jaunsudrabiņš, Garlieb Merķel, Jānis Poruks, Rainis, and Eduards Veidenbaums. The Reading Room also provides information about authors and genres. The virtual museum “Aspazija and Rainis in Lugano” explores the life and work of the famous Latvian poets Aspazija and Rainis during their exile in Castagnola, Lugano (Switzerland), from 1906 to 1920. The virtual museum aims to raise public awareness about the influence of the Lugano period on both poets by listing the political and historical events of that time in Latvia and in the world, the writers’ magnificent surroundings, as well as the harshness of exile life described in letters and diary. 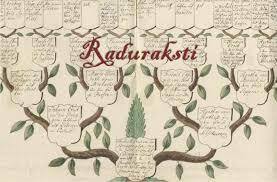 It is also a chance to read the works of Aspazija and Rainis which were created at this time and place. garamantas.lv aims to provide open access to the collections of the Archives of Latvian Folklore (http://en.lfk.lv), namely – manuscripts, images, audio and video recordings. The project provides multilingual interface and various virtual participatory activities, such as transcription and translation of manuscripts and audio recordings, descriptive annotations of images, social tagging and commenting. By the end of 2016, more than 400.000 manuscript pages, 13700 photographs and drawings and almost 5000 audio recordings had been published online. Collection of Latvian folksongs collected and sistematized by Krišjānis Barons in the end of 19th century. The project was carried out between 1998 and 2006. The parallel bilingual corpora of Latvian legends in Latvian and German provides open access to three volumes of Latvian legends (3500 texts) edited by the folklore researcher Pēteris Šmits (1869–1938) with complete translation in German archived by Enzyklopädie des Märchens in Göttingen. The project was carried out in 2006–2012 by the Archives of Latvian Folklore (ILFA, UL) in collaboration with the Artificial Intelligence Laboratory (IMCS, UL) and the Research Centre of the Göttingen Academy of Science "Enzyklopädie des Märchens". The digital version of the 4 volumes of Latvian folk beliefs collected by Pēteris Šmits. Published in 1940–1941. The project was carried out by the Artificial Intelligence Laboratory (IMCS, UL) in 1997. Digital publication of 15 volumes of Latvian folktales and legends collected by folklore researcher Pēteris Šmits (1869–1938) and published from 1925 to 1937. The project was carried out by the Artificial Intelligence Laboratory (IMCS, UL) in 1997. Catalogue of Latvian proverbs held by the Archives of Latvian Folklore, digitized around in 2000. The resource was created by the Archives of Latvian Folklore (ILFA, UL) in cooperation with the Artificial Intelligence Laboratory (IMCS UL). The virtual archives of Latvian State Historical Archives contain church books of Evangelic Lutheran, Roman Catholic, Orthodox, Baptist, Greek Catholic, Old Believers’, Reformed congregations, vital records of Rabbinates, Revision lists of Livland and Courland, materials of the 1st All-Russian Census for 1897 in Courland, Livland and Vitebsk provinces as well as Riga house-registers for 1854–1918 (for now partly). Institute of Latvian History (LU LVI) offers several index that are freely available on the web: Latvian residents arrested by Soviet repressive organs in June-October 1940; a list of anniversaries (chronology) developed by LVI; archaeological material storage database; list of ethnographic material funds and indicators; catalog of anthropological collections of the bioarheological material repository; database of paleodemographic, craniological and osteological indicators of anthropological material. Digitized list of Latvian deportees in 1941 and 1949-1953. The project is carried out by the National Archives of Latvia. The database provides information on persons who studied at the University of Latvia from 1919 to 1944. The project is carried out by the Latvian State Historical Archives. Latgale Research Institute's database "Latgales Data" is based on dr. hist. Henriha Soma collected filing system in paper format, which has been developed since 1988 by studying the sources of Latgale history (newspapers, archival materials) and publications. A digital storage of audio and video documents from the National Archives of Latvia, Video, Photo and Audio Archive. It contains Latvia's documentaries, news-reels, animations and movies created by both professionals and amateurs since 1910. Currently, the catalogue contains information about 17446 video items. In the digital Encyclopaedia of the History of Latvia, you can find information about the history and leading personalities of Latvia from the first human settlement to the beginning of the 21st century. This information is presented in 688 entries, supplemented by 860 paintings, maps, photographs and charts, as well as audio and video recordings. The encyclopaedia is structured by subject and by period. It includes content from the Latvia State Archive of Audiovisual Documents, the National Library of Latvia, the Museum of Literature and Music, the Latvian War Museum, as well as private collections. The long-term crowdsourcing campaign for transcription of the manuscripts of the Archives of Latvian Folklore was launched in the June 2016. The campaign is organized by the Archives of Latvian Folklore in cooperation with the Latvian National Radio, Ministry of Culture of the Republic of Latvia, and the Latvia's Centenary Bureau. The title of it is "Simtgades burtnieki" (The Wizards of the Centenary) as the project is organized as one of the activities of the larger campaign that encourages society to devote their free time for Latvia’s centenary (more information on the campaign: http://www.lv100.lv/en/give-latvia-your-time/manifest/). On the digital platform, each participant can follow how much time he/she has spent in volunteering work. From 1 September to 30 November everyone has the opportunity to join in the popularisation of Veidenbaums’ poetry and participate in the campaign “Recite Veidenbaums” by reading one of his poems aloud as a symbolic tribute to this late 19th-century star of Latvian poetry. The crowdsourcing campaign "Valodas talka" can be translated as 'collaborative work for language', the title referenced ethnographical collective work in the fields. The initiative was devoted to the International Mother Language Day in 2016. The main goal of the initiative was to promote digital archives of the Archives of Latvian Folklore, and encourage different target groups to use digitized documentary heritage that tells about folklore and traditions of Latvian society including ethnic minorities. During the campaign which run for 71 days, thousands of participants transcribed more than 14 000 online manuscript pages of the Archives of Latvian Folklore. The project invites society to share their knowledge in local place names. The project is curated by the Institute of Latvian Language in cooperation with UNESCO Latvia. The crowdsourcing campaign "Cildren's Poetry Out Loud" aims to give the general public, especially children and their parents, grandparents, schools and kindergartens, from September 1 to November 2018, an opportunity to read aloud a poem, record and save their own voice in history. "Children's Poetry Out Loud" is a continuation of the widespread public campaign in 2017, "Recite Veidenbaum", where everyone had the opportunity to read aloud some of the poems by Eduard Veidenbaum. "Feasts and Celebrations" is an online crowdsourcing campaign of the LU LFMI Archives of Latvian Folklore, the aim of which is to find out the main thing about the individual celebrations in contemporary Latvia. 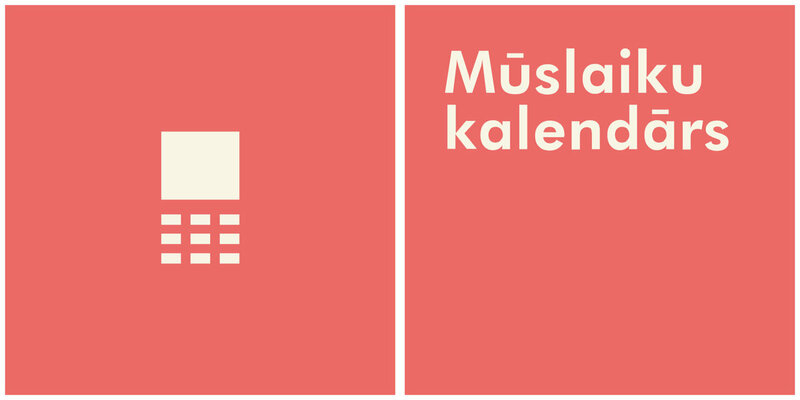 LU Institute of Literature, Folklore and Art crowdsourcing campaign “Mūslaiku kalendārs” (Contemporary calendar) aim is to involve the public in the study of celebration habits in modern Latvia, focusing on the individual's personal calendar. The Contemporary Calendar campaign is a follow-up to a study launched in 2017 on Virtual Ethnography: Online Exploration of Calendar Practices, in which the survey method was used in the first phase to identify how today's well-known celebrations are celebrated and the role of festivities in today's society. Researchers want to find out: how many special days are in one person's calendar year, to identify everything people tend to note. RuTa is a speech transcription editor that allows to manually edit automatic speech recognition results. It is developed in AILab (IMCS, University of Latvia) based on accumulated experience from research projects about speech recognition and its application to media monitoring. The world's first Latvian automatic speech recognition system transforms spoken text or recorded speech into corresponding written text. This system outperforms similar solutions developed by global companies for the Latvian language. Speech recognition quality depends on the quality of recording – for a good audio file, ASR quality for Latvian is similar to ASR quality for more widely spoken languages. The Latvian speech synthesis engine transforms the wording of an utterance into sounds that are outputted to the user. The speech synthesis solutions for Latvian have been available since 2002. To make speech more natural, different methods including unit selection, parametric synthesis and recently parametric synthesis with neural networks have been researched and implemented. The world's best free online machine translation service for Baltic languages instantly translates texts, documents, and websites in Latvian, Lithuanian, Estonian, Russian and English. The Tilde MT platform includes the latest features in MT technology. It was developed by Tilde's research and innovation team, which has over ten years’ experience in MT development. To support innovation, Tilde also collaborates with partners around the world in projects aimed at pushing the limits of MT. The TILDE MODEL corpus is a collection of multilingual open data sets in multiple languages. The corpus contains over 10M segments of multilingual open data that were collected from sites allowing free use and reuse of content, as well as from public sector websites. The resources in the TILDE MODEL corpus have been cleaned, aligned, and formatted into the standard TMX format, suitable for research and developing new language technology solutions. These open data sets are available to technology developers, researchers, localization companies, and machine translation providers. Hugo.lv is the Latvian public sector’s machine translation service, which is freely available to all visitors. The service provides automatic translation from Latvian to English and vice versa, as well as from Latvian to Russian. Users can translate texts, documents, and websites. ACADEMIA is an academic repository for researchers and institutions. It has been created to provide a comprehensive solution for storage and access to academic papers written in Latvia. The contents of ACADEMIA are papers written within Latvia's higher educational and scientific institutions: promotional papers, masters' theses, monographs, collections of scientific articles, conference thesis and other scientific papers. E-resource repository of the University of Latvia provides the possibility to collate, preserve and access freely the scientific achievements of the University of Latvia. It contains publications of the staff members of the University of Latvia – published articles, doctoral thesis and abstracts, conference proceedings, administrative, scientific and funded project reports and other electronic documents. RTU repository provides composition, preservation, and accessibility of scientific publications of RTU. In the repository full texts of articles published in "Scientific Journals of RTU" and publications of RTU academic staff and researchers, which have been archived in the repository in accordance with the copyright agreements, are available. The website provides digitised volumes of the leading Latvian humanities' journal "Letonica". "Letonica" is an interdisciplinary scholarly journal in publication since 1998. The journal publishes original, previously unpublished articles in the fields of the humanities and social sciences. All articles are peer-reviewed. The journal is indexed in Scopus, ERIH PLUS and EBSCO. The website provides digitized volumes of the journal "Culture Crossroads" which is an international peer-reviewed journal published by the Research Centre of the Latvian Academy of Culture. The thematical scope of the journal covers theoretical and methodological approaches to the research of art and creativity with an emphasis on the potential of a variety of disciplines and interdisciplinarity. Digitized volumes of Latvian émigré literary Magazine Jaunā Gaita, published since 1955.